Not all alternative (or conventional!) therapies are effective and safe. Using his research background, Dr. Gowan critically appraises the evidence of various treatments. His motto is “Do the safest and most effective treatment to feel better.” Dr. Gowan has a passion for herbal medicine and is one of Canada’s leading authorities on herbal medicine. He won “Favourite Professor Award” at the Canadian College of Naturopathic Medicine (CCNM) in Toronto where he teaches herbal medicine. In addition, Dr. Gowan has published and presented numerous research articles and textbooks in the health field. 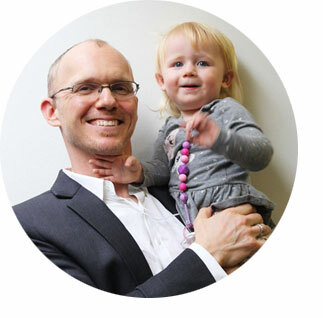 He currently sees patients at the Guelph Naturopathic Medical Clinic (GNMC) where he treats a variety of conditions. Gowan & Saunders, Godfrey, Barlow “Princinpals and Practice of Naturopathic Botanical Medicine”, CCNM Press, Kingston 2010. Christopher Habib, ND, Matthew Gowan, ND, Stefan Podgrabinski, Tom Grodski, ND, Brenda Leung, ND, Maria Shapoval, ND, Dugald Seely, MSc, and Kieran Cooley, MSc ″Treating Type 2 Diabetes: A Cross-sectional Audit of Naturopathic Standards of Care Using the Naturopathic Patient Database” Journal of Evidence-Based Complementary & Alternative Medicine, Jan. 2012. Brenda M. Y. Leung, Gillian Flower, Kieran Cooley, Chris Habib, Matt Gowan, Stefan Podgrabinski and Dugald Seely. “Assessing the Utility of an Electronic Research Database to Capture Whole Systems Practice at Two Naturopathic Outpatient Teaching Clinics” Journal of Evidence-Based Complementary & Alternative Medicine. 2013 18: 170 originally published online 26 December 2012. Gowan M; Caille S; Lau C. Synthesis of 3-Alkoxyindoles via Palladium Catalyzed Intra-molecular Cyclization of N-Alkyl ortho-Sioxyallylaniline. Synlett (1998) 11: 1312-4. “Measuring Outcomes in Naturopathic Medical Clinics” CAND Health Fusion, Toronto 2007. “Gallstone Dissolution with the use of Botanical Medicine” ” CAND Health Fusion, Toronto 2007. “Measuring Outcomes Using the MYMOP and Naturopathic Patient Database (NPD)” – British Colombia Naturopathic Association Conference 2007. “Measuring Outcomes Using the MYMOP and Naturopathic Patient Database (NPD)” – American Association of Naturopathic Medicine 2006. “Case Series: Bitter Herbs and the Treatment of Functional Dyspepsia” – NHPRS Annual Research Conference, Toronto 2008. CBC radio – 20 min interview, 2002. CJAI – Medicinal benefits of curcumin, 2010. CJAI – Furanocoumarins and herbs that cause photosensitization, 2011. Get help from Guelph naturopath now!